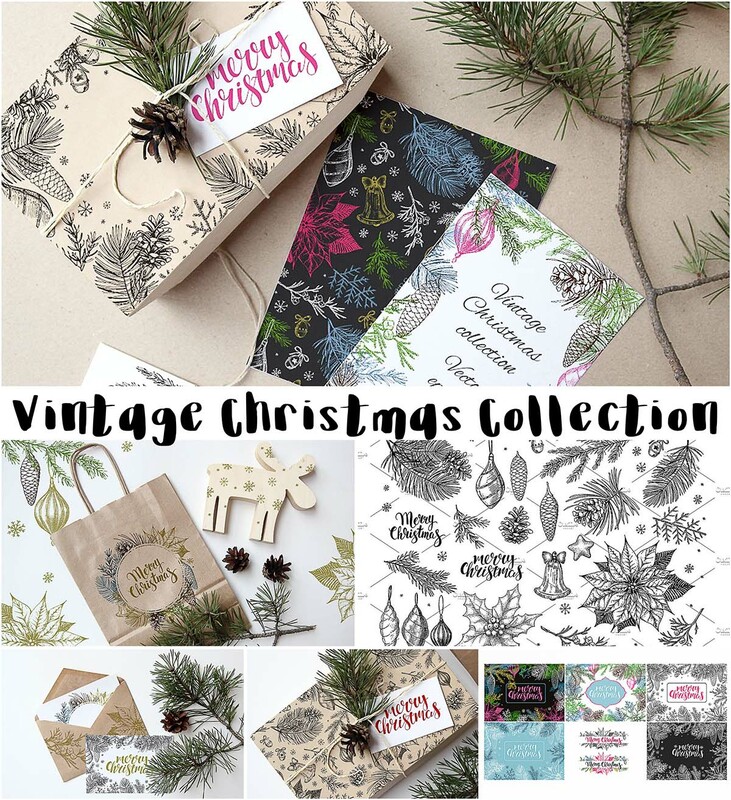 Introducing vector Christmas greeting cards, seamless patterns and templates and hand drawn elements: Christmas toys, conifers, winter’s flowers and cones. You can use for seamless prints, design card and invitations, tags, stickers, textile, website backgrounds, postcards, posters, gift wrap, packaging, wallpapers and more. File format: .png, .eps for Photoshop or other software. Tags: Christmas, festive, greeting card, hand drawn, modern calligraphy, packaging, pattern, tag, vintage.